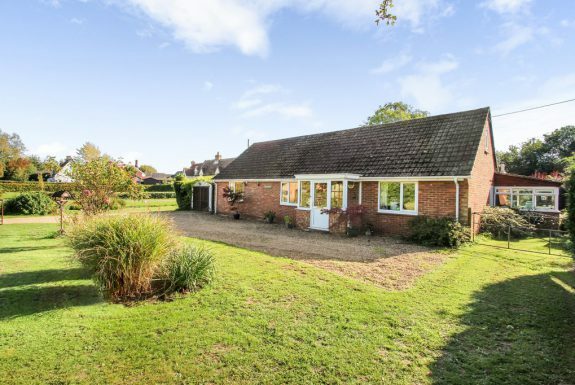 PROPERTY DESCRIPTION A well-presented four bedroom (one en-suite) detached property occupying a corner plot position, adjacent to open farmland and located in the highly regarded village of Nayland, situated on the Suffolk/Essex border. With living accommodation comprising three reception rooms and a total internal floor area of approximately 1,330 sq ft the property is ideally suited as a family home with notable features including a wood burning stove, Karndean flooring and an open plan kitchen/dining room/garden room arrangement. 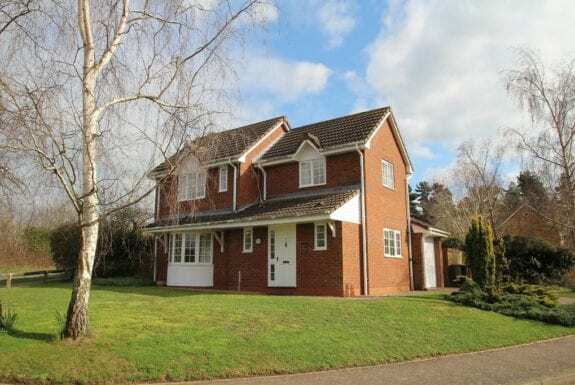 Further benefits to the property include a total plot size of approximately 0.15 acres abutting undulating farmland, a detached garage, off-street parking for a number of vehicles and convenient access to the centre of Nayland with its village store, public house and Ofsted 'outstanding' rated primary school. SITTING ROOM: 4.54m x 3.93m (14' 10" x 12' 10") With picture window to front, skirting, coving and fireplace with hearth, surround and mantle over with inset wood burning stove. GARDEN ROOM: 3.61m x 2.44m (11' 10" x 8' 0") Set beneath a pitched roofline with French doors to rear affording an open aspect over the gardens and farmland beyond. Two Velux windows and Karndean flooring. CLOAKROOM: Fitted with a ceramic WC, pedestal wash basin and window to rear. 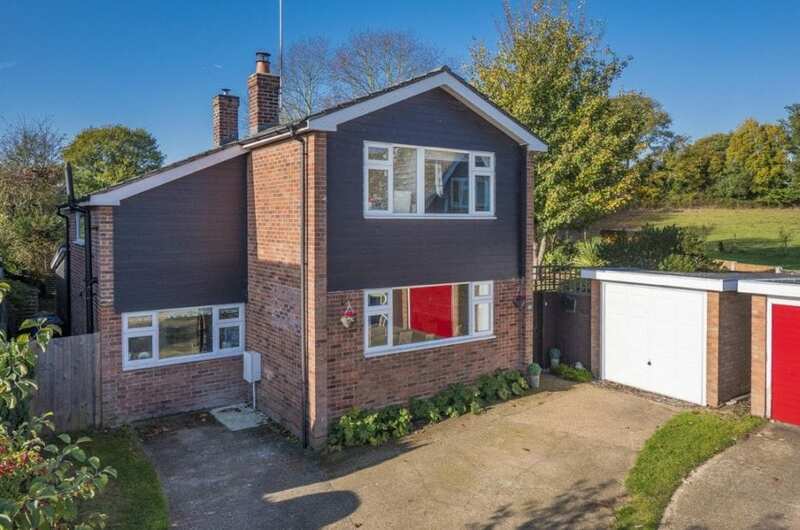 MASTER BEDROOM: 3.89m x 2.88m (12' 9" x 9' 5") With mirror fronted recessed wardrobes, window to side overlooking gardens and farmland beyond and door to linen cupboard housing hot water cylinder with useful fitted shelving. EN-SUITE SHOWER ROOM: Fitted with ceramic WC, pedestal wash hand basin and fully tiled separately screened shower unit with chrome shower attachment. BEDROOM 3: 2.97m x 2.51m (9' 8" x 8' 2") With window to front. BEDROOM 4: 2.94m x 1.96m (9' 7" x 6' 5") With window to front. FAMILY BATHROOM: Fitted with ceramic WC, wash hand basin within a base level unit and bath with tiling above. Wall-mounted heated towel rail and window to rear overlooking gardens and farmland beyond. GARAGE: 5.04m x 2.53m (16' 6" x 8' 3") With up and over door to front, light and power connected. GARDEN Gated side access is provided to the rear gardens which enjoy a private setting on the edge of this small, well-planned development. 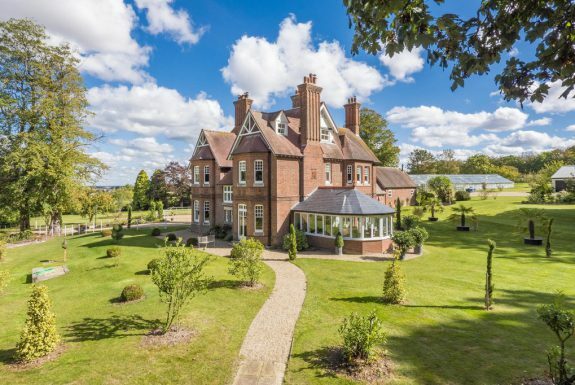 Enveloping the property in the form of a single expanse of lawn the gardens are complimented by established borders, terrace with railway sleeper borders and useful external store. Inclining away from the property a set of steps lead to a summer house which sits on raised decking with a further expanse of lawn beyond and open aspect over surrounding grazing land. SERVICES: Mains water, drainage and electricity are connected. Oil fired heating to radiators. NOTE: None of these services have been tested by the agent. TENURE A tenancy is available on an assured short hold basis for a minimum of 12 months. The tenant will be responsible for all outgoings including water rates and council tax. References will be required together with a secure deposit of one and a half months rent. Prospective tenants will be required to pay a non-refundable administration fee of £200.00 plus VAT (£240.00) for the first applicant and £90.00 plus VAT (£108.00) per applicant thereafter, towards the cost of obtaining references. If a guarantor is required there will be an additional charge of £90.00 plus VAT (£108.00). All cheques are to be made payable to David Burr.